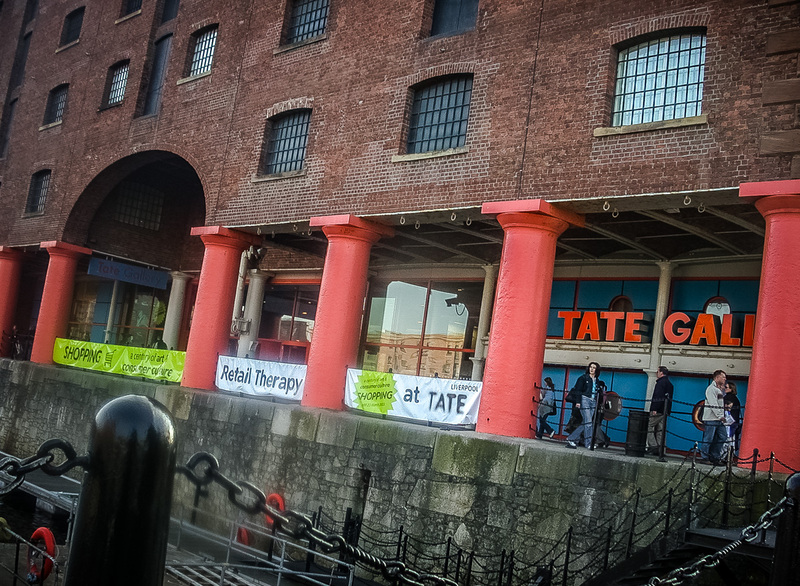 Tate Gallery, Albert Dock, Liverpool L3 • From the days before it was called simply Tate. 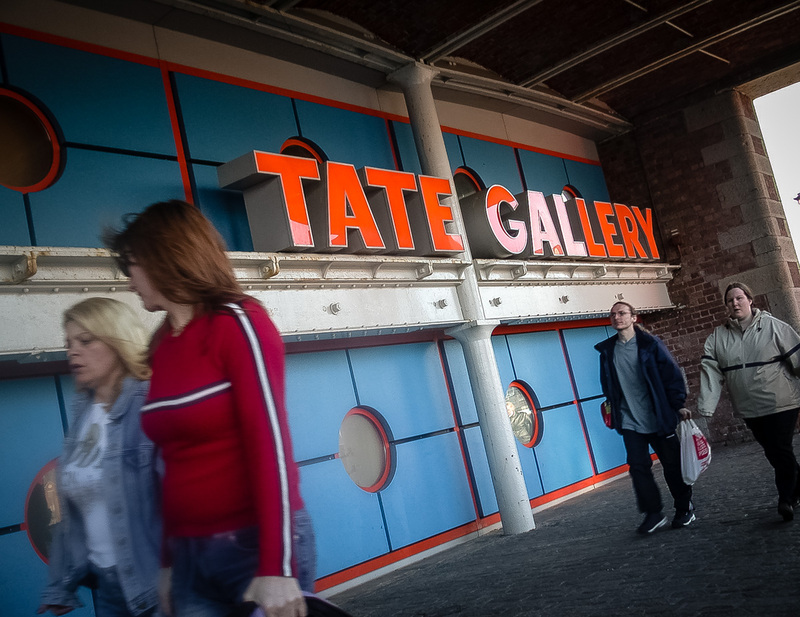 The frontage is still the same except they’ve taken off the word ‘Gallery’. I went up there – then a 5 hour train ride – specifically to see this excellent shopping show. 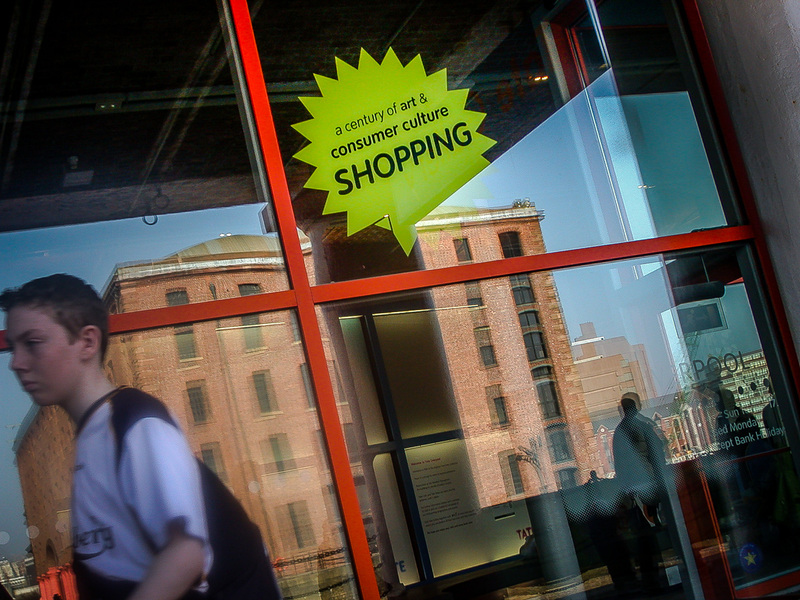 Liverpool is a wonderful city, so I spent the rest of the day photographing around town; it was before redevelopment, when there were still decaying dock warehouses right in the centre. Looking back, it was a Liverpool that was poised to disappear, romantically ramshackle in the crisp winter sunlight. One of my favourite series, which I shall be featuring (plus a few later shots) over the next few weeks.